So you are planning a party complete with invitations to match. If you find that the invitations at the stores are too plain, not exciting enough, or just corny, then this article is for you. We boast a collection of highly customizable Party Invitation Templates that come in very fun designs. The best part about our templates here is that you can incorporate your own photos in them. This feature will make your invitations more personalized and relatable to those you’re sending them to. Take a look at our templates here and see which design you like best for your party. Photo Graduation Party Invitation. 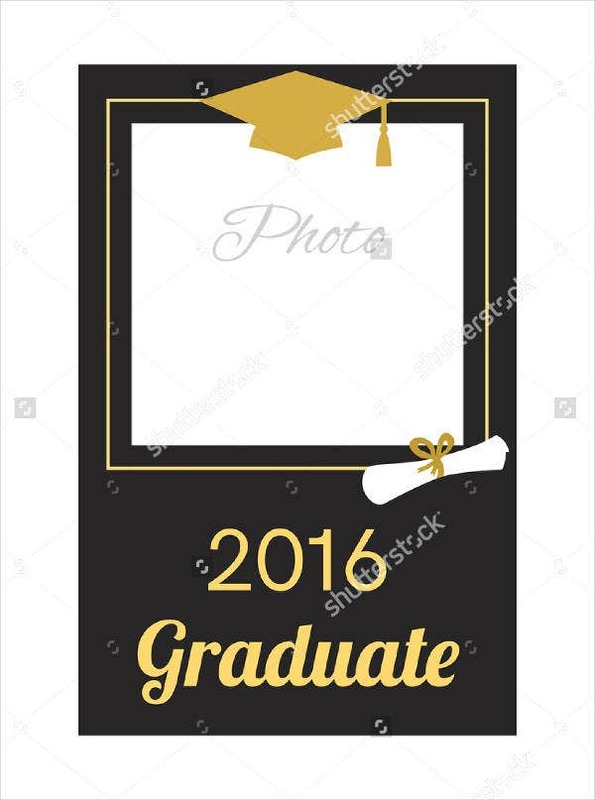 For parties to celebrate a graduation, this template is the best to use. Mix in your gradation photo to invite everyone you know to your party. This invitation template also doubles as an announcement about your graduating. Birthday Photo Party Invitation. If you want a birthday invitation where you can put in your or the celebrant’s picture, then use this template. 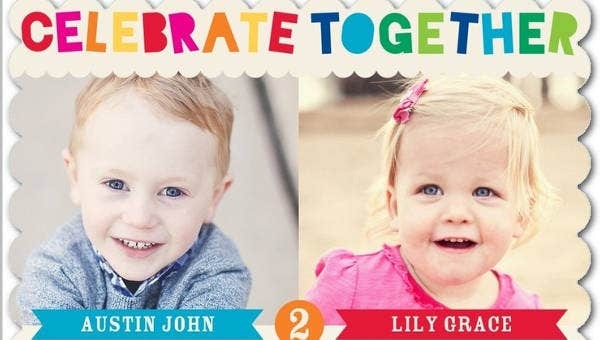 These Photo Birthday Invitations are perfect for both a kid’s birthday party and an adult’s birthday party. Minnie Mouse Photo Party Invitation. For a Minnie Mouse-themed birthday party perfect for a little girl, use this template to set inform the guests the party details and of the theme. Complete with the use of pink and polka dots, this invitation template is sure to excite your little daughter’s invitees. Pool Party Photo Invitation. 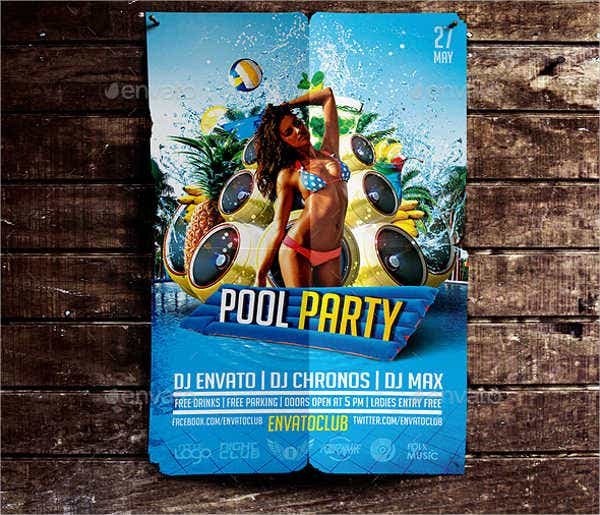 Just in time for the summer, this pool party invitation template is convenient to create invitations with photos that will set the summer mood and entice people to jump into a pool. There are more photo-friendly templates below, be sure to check them out. 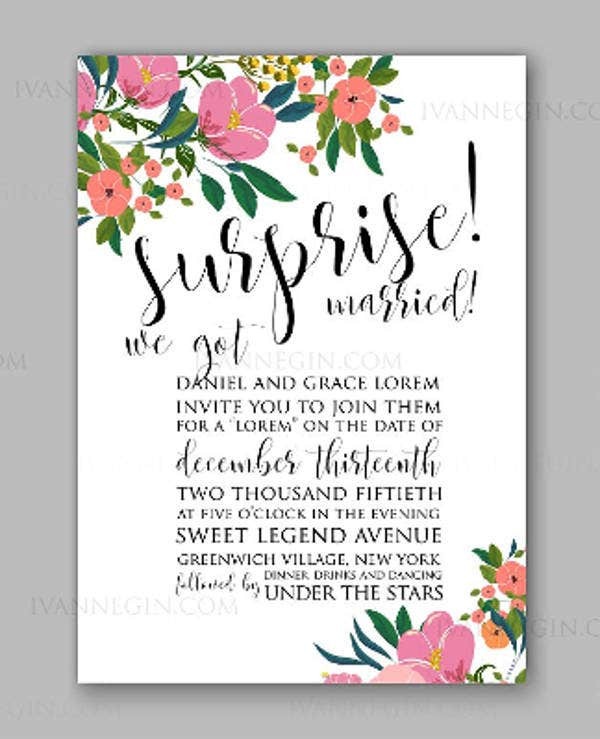 If you are looking for similar templates applicable for weddings, definitely have a look at our Photo Wedding Invitations section. 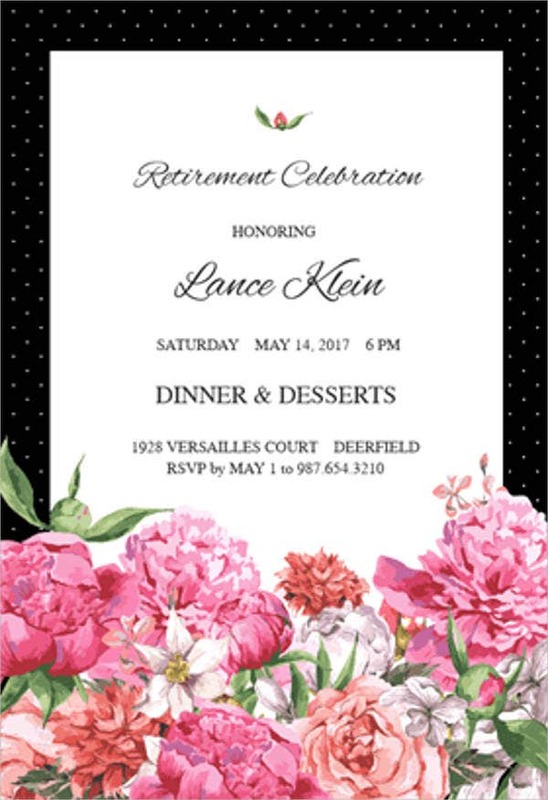 Retirement Party Invitation with Photo. A retirement is a huge milestone in someone’s adult life, and it deserves a big celebration with all the guest of honor’s closest family members and friends. Invite them with this template and add in the guest of honor’s photo for a very personal touch. Photo Baby Shower Party Invitation. 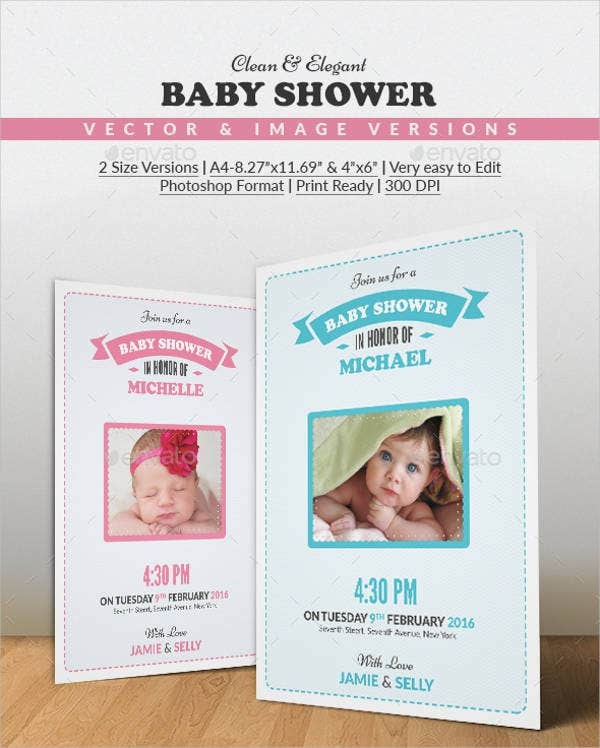 An awesome way to announce to friends and invite them over to celebrate the coming of your new baby is to use this baby shower photo invitation. Share your best pictures from your pregnancy to make more personalized invitations. 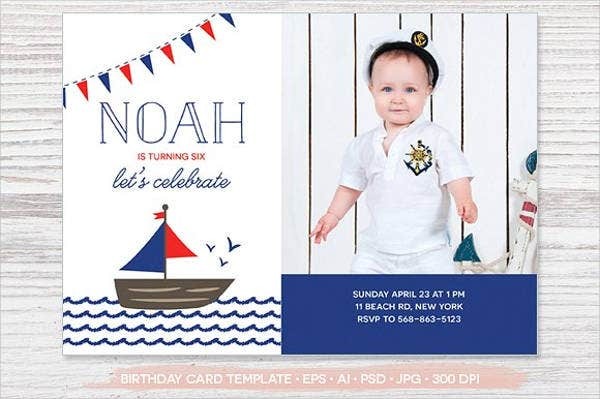 Christening Photo Party Invitation. 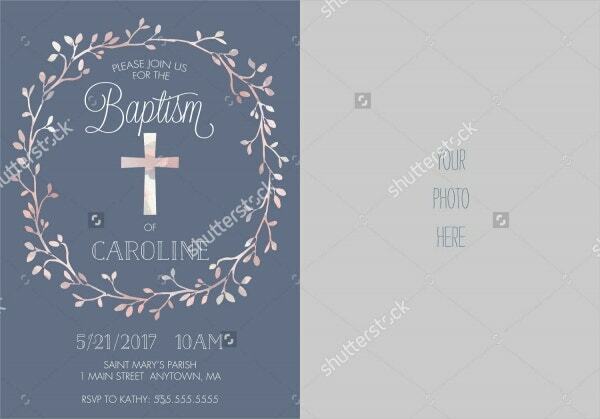 To celebrate your baby’s presence in the Christian world, this Christening Photo Party Invitation is designed to convey the atmosphere of the occasion. This template will fit no matter the gender of the child. 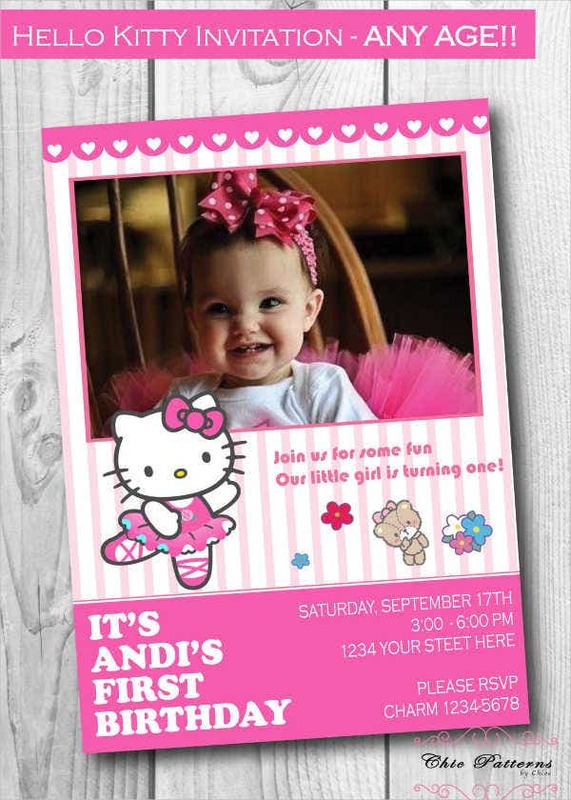 Hello Kitty Party Photo Invitation. Another common theme for little girls’ parties everywhere, so we made sure to include a party invitation template. Incorporating your little girl’s picture is also possible with the template.